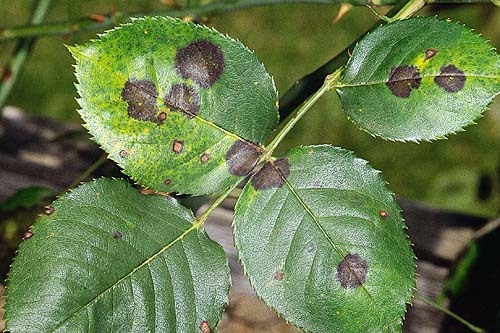 The three most common diseases facing gardeners are powdery mildew, rust and blackspot. These are all fungal diseases, spread by spores when the conditions are right – or wrong. 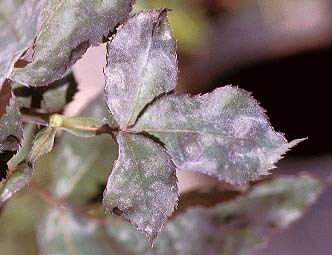 Powdery mildew is recognized by white powder like substance on new foliage and/or buds, that distorts growth. Rust is not as common in the Mother Lode area as in coastal communities. It can be identified by orange pustules on the underside of the foliage. It tends to be more common here during the fall. Blackspot is easily identified by its black spots, and in later stages the leaf will drop from the plant. All three of these diseases can generally be avoided or reduced by growing disease resistant varieties, and practicing good culture. Remember a rose that is stressed is more likely to get disease – just like people! These days most gardeners in our area prefer not to spray, however if you do always read the label and follow precautions. If you choose to use a fungicide, most are designed to be used as a preventative, not a cure. Regarding insects, let Mother Nature handle it. There are many beneficial bugs – such as ladybugs, leatherbacks, green lacewing, syrphid fly larvae – that love to eat aphids. Insects that are non-desireable can often be dealt with by squishing or a blast of water. If an insecticide is used, remember they do not differentiate between good bugs and bad. Consider the balance and proceed with caution when using chemicals. For more information attend a meeting of the Mother Lode Rose Society or contact one of our Consulting Rosarians. 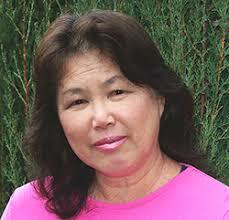 Read more info at Integrated Pest Management IPM.